I absolutely LOVE the dancing, tutu wearing hippos from Clearly Besotted. Maybe it is because I love Fantasia and the hippos .... but this stamp set and the sentiments are absolutely so much fun! 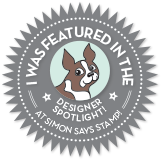 When I saw that Simon Says Stamp was showcasing products and specifically sentiments for their Wednesday Challenge, I just knew I had to pull out this set. 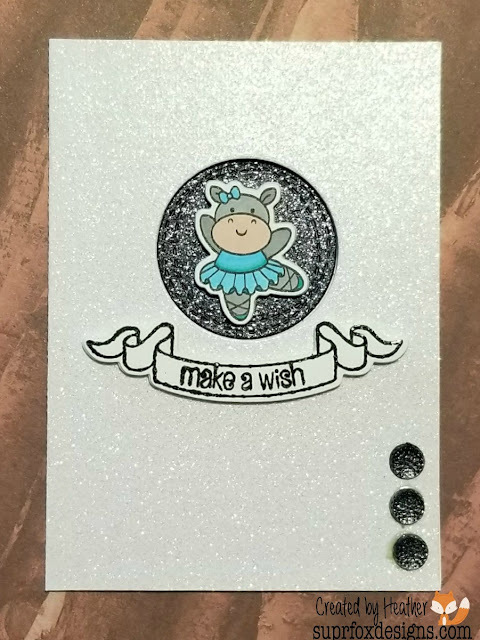 I started with a pre-made white glitter card base that is 4 3/4 x 7, scored at 3 1/2 for a side folding finished card size of 3 1/2 x 4 3/4. I then took a stitched circle die and die cut a hole towards the top of the front panel of the card and then took another piece of glitter card stock in a gun metal/ almost black color and cut a circle with the same die, I then closed the card and placed strong adhesive on the back of the dark circle and laid it in the hole so it was on the inside of the card base. That way you can see the element when the card is open or closed. I then took the stamp set and stamped the hippo with black onyx versafine ink on white card stock and colored in the image with my Zig Real Brush markers in green and blue for the ensemble and bow and then grey for the hippo body and beige with a drop of pink for the face. 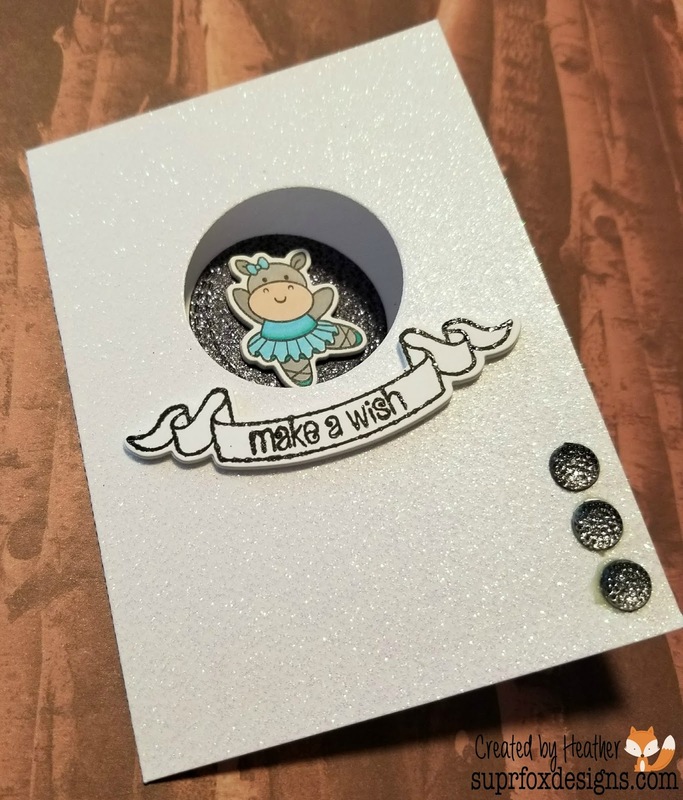 I then die cut the hippo and a piece of fun foam to place behind her and glued them together and then glued down the hippo to the dark glitter circle. 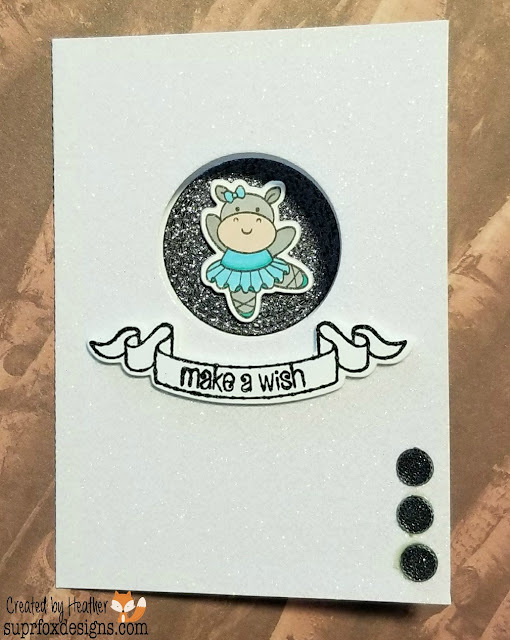 I then stamped the banner shape and "make a wish" sentiment with black versafine ink and heat set with Tonic Glitter Noir Nuvo Embossing powder. I die cut the banner and another piece of fun foam and glued them together and added them to the front of the card. 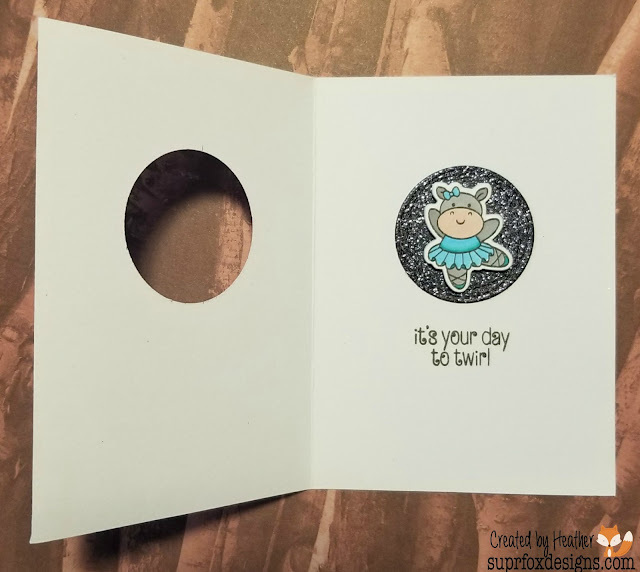 On the inside of the card I stamped the "its your day to twirl" sentiment from the set with black onyx versafine ink. I added some gumdrop type gems from my crafty stash to the front and my card is complete.